Former AIM writer of the year Andrew Hore names the AIM companies he believes have strong growth prospects over the next year and beyond. Frontier IP (LON:FIPP) develops businesses and technologies that are spun-out of universities, both in the UK and Portugal. The model is different to its peers in that it gains stakes in return for providing advice and services. 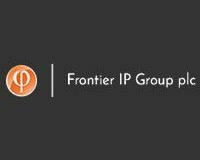 This enables Frontier IP to take a significant stake in its investee companies. One of the consequences of this is that many of the stakes are in the books at low valuations. These valuations can be increased when there are fundraisings, although the percentage stake is likely to be diluted. There are 15 core shareholdings, which are generally stakes between 15 percent and 40 percent. The main sector focus is pharma, technology and advanced materials. In the past year, the net asset value has risen from 30.7p a share to 33.2p a share. The share price is double the NAV, but there is plenty of upside in the existing investments. For example, Alusid makes floor tiles from ceramic waste and it is seeking to invest in a new automated facility. This may be funded by a flotation on AIM. Frontier IP chose to invest cash in the September 2018 fundraising and it has a 35.6 percent stake valued at £1.38 million. This valuation could rise if there is a flotation. Frontier IP recently raised £2.49 million at 65p a share in order to provide working capital for the business. Allenby reckons the cash will last until the end of June 2020, when it forecasts net debt of £172,000. That assumption does not include any potential realisations. The timing of any valuation uplifts is difficult to predict as there is no guarantee that they will happen in 2019. Even so, the maturing portfolio makes the shares a long-term buy and there should be progress this year. Buy.